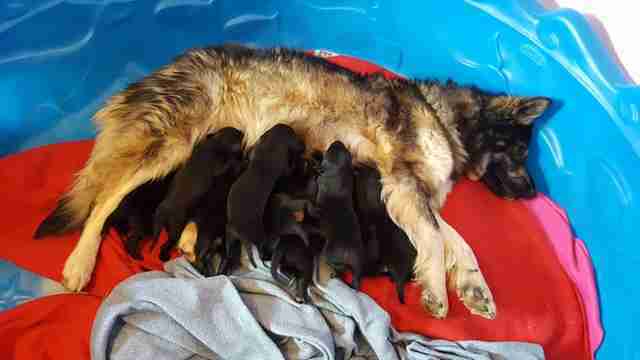 When a very pregnant dog was taken in by a shelter on a Native American reservation in North Dakota, the staff there was unprepared and unequipped when she eventually gave birth to a whopping nine puppies. In order to make sure the little family got the best care possible, they asked the Homeward Animal Shelter if it could take them in, and the staff there quickly agreed. The puppies were only 10 days old when they arrived at the shelter, and so they and their mom went into foster care until they were old enough to be adopted out. 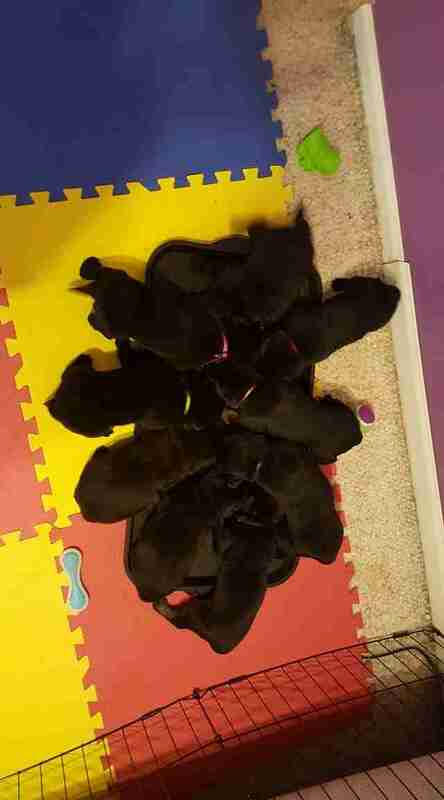 Once the puppies were around 8 weeks old, it was finally time for them, and their mom, to find their forever families. 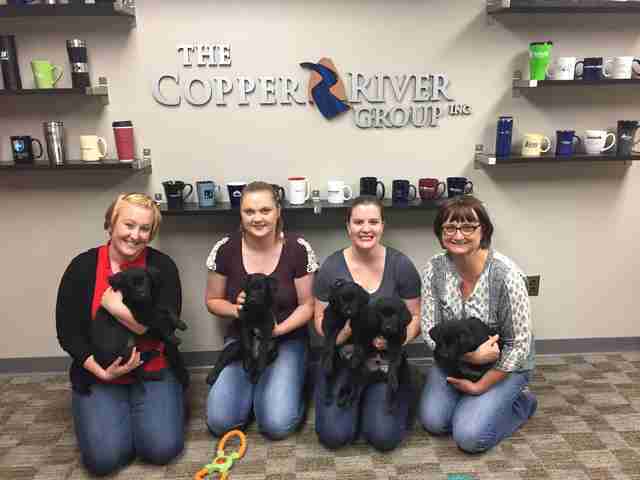 Four of the puppies, and the mama dog, were adopted fairly quickly, but when there were still five left and no adoptions pending, staff at the shelter came up with a fun way for the people of the community to meet the remaining adoptable puppies. The shelter reached out to local businesses to see if it could bring the five puppies around to meet people in the community in hopes of helping them get adopted. In exchange for the adorable visit, they asked if each business would donate some money to the shelter to go toward helping other animals in the future. 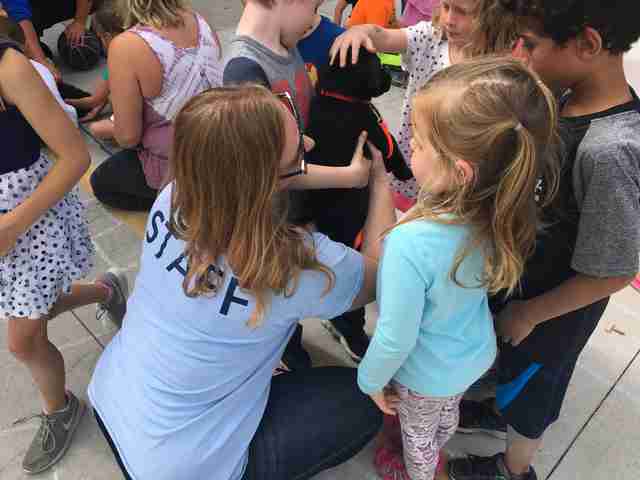 The shelter decided to call the day of visits the Puppy Parade, and ended up taking the puppies to seven different businesses throughout the day, including a couple office spaces and a daycare center. 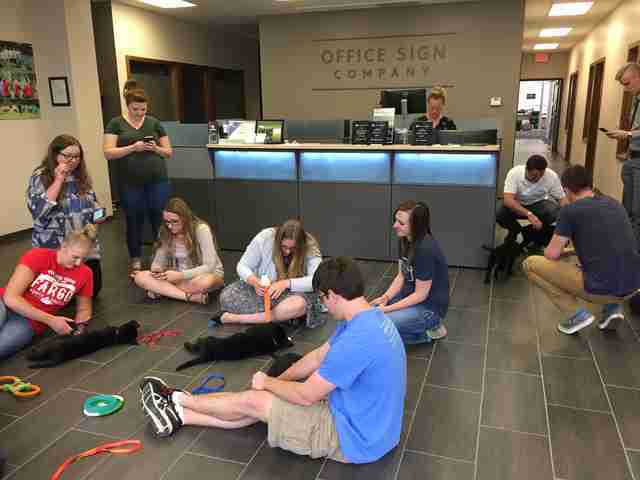 The Puppy Parade was a huge hit, both with the people at the businesses and the five puppies who came to visit. 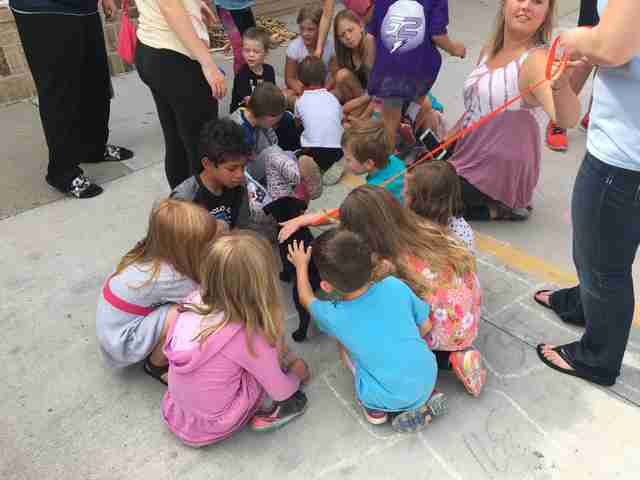 Adults and children alike loved playing with and snuggling the adorable pups, and the puppies seemed super grateful for all the love as well. In the end, because of the Puppy Parade, all five puppies ended up getting adopted, and will all be heading off to their new forever homes very soon. Everyone was super excited by the success of the first ever Puppy Parade, and the shelter definitely plans to do it again to help other puppies, and kittens too, find the homes they deserve. To help other puppies like these guys, you can donate to the Homeward Animal Shelter.